Third - Sixth Class Drama Show on Thursday 11th April @ 7pm in the SVP Hall Kells. Everyone Welcome! School closes on Friday 12th April at 12 o'clock for the Easter Holidays. 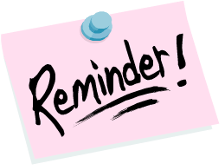 School Reopens on Monday 29th April for Term 3. First Communion will take place on Sunday 12th May @ 11am in Kilbeg Church. Reception afterwards in school. Welcome to our new website! Our aim is to give you an insight into all that goes on in our school and to continue to build on links between home and school. We hope you find lots of interesting information about our school here, from the showcasing of school and class events to background information on policies and education practice. Please do check in regularly and add us to your favourites. 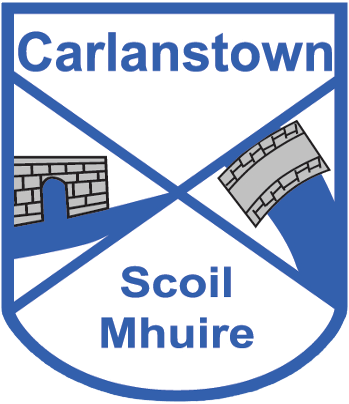 The Gallery captures many of the events and initiatives that take place in Scoil Mhuire Carlanstown. Each class has its own section showcasing their work in Class News. The Parents section contains useful information for parents regarding the day to day running of the school. It has links to support your child’s learning & development & also staying safe online. This section will also contain School Newsletters which will, on a monthly basis, highlight all the key events that take place in school. The Policies section contains the school policies & guidelines that underpin the organisation of the school and teaching/learning here. Our School Calendar will be updated regularly showing dates for many events, school closures etc. We hope you enjoy visiting our site! If you have any suggestions on how to improve the site please let us know. The playground will open at 9.10 each morning. For insurance reasons the BOM cannot accept responsibility for pupils arriving before 9.10. Children should not be dropped off to wait unsupervised in the car park before this time. As always, pupils will be supervised from 9.10 - 9.20. Drama Night in SVP Hall Kells.